A WOUNDED Melbourne has been further decimated by injury with co-captain Jack Viney ruled out for up to six weeks after undergoing foot surgery. 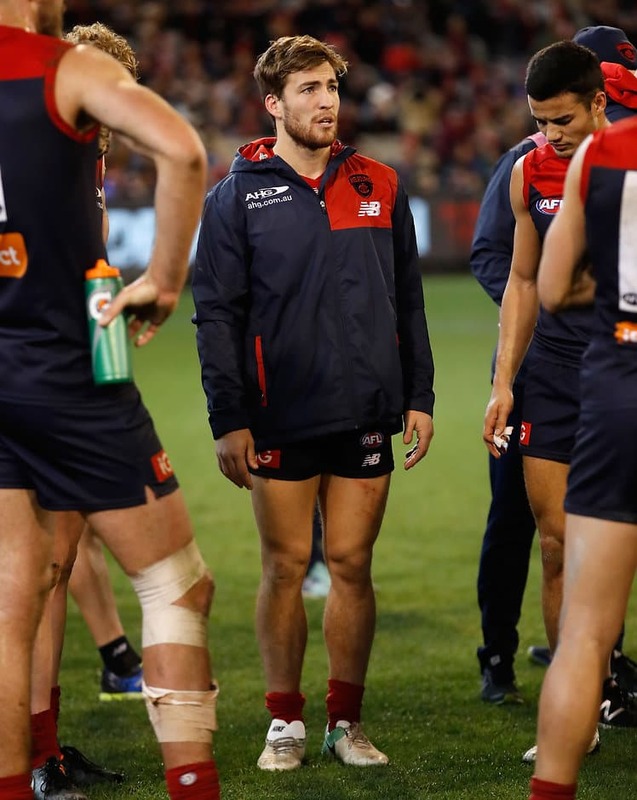 Viney did not return to the field after half-time in Friday night's 35-point loss to Sydney and subsequent scans have revealed the extent of the plantar fascia injury. "Jack had an operation this afternoon to release his plantar fascia," Demons football manager Josh Mahoney told melbournefc.com.au. "This has been an injury that has been carrying for the majority of the season. "We expect his recovery from this operation to be approximately 4-6 weeks, based on how quickly his foot can be reloaded post-operation." Midfielder Dom Tyson faces a fitness test ahead of Sunday's game against Carlton after hurting his knee against the Swans. "Dom had an incident with his knee on the weekend," Mahoney said. "He'll be assessed early in the week, and his availability for this round will be known later in the week." The Demons' injuries are beginning to pile up after playing four games in 18 days, with co-captain Nathan Jones (quad) and defender Christian Salem (hamstring) a month away from a return. Tom Bugg will front the AFL Tribunal and is expected to receive a lengthy suspension for his strike on Sydney’s Callum Mills. In better news, Jesse Hogan, returning from testicular cancer, Jeff Garlett and Jack Watts, who are battling hamstring complaints, will be in the selection mix for the game against the Blues. The trio will train on Tuesday and Friday in a bid to prove their fitness. Jayden Hunt and Michael Hibberd were among the players on light duties at training on Monday, with some speculation Hunt may have been a late withdrawal for the game against the Swans. Jay Kennedy-Harris, Jake Spencer, Dean Kent and Ben Kennedy will be available for selection after serving a one-week club-imposed suspension for breaking club protocol around the drinking of alcohol.